If you are looking for a way to extend the living area of your home, you could pay an enormous amount to have your home renovated over a period of five to six months, or you could call Aluminum City to custom design and build a room addition by enclosing your existing outdoor patio in significantly less time and for &frac13; of the cost of a conventional room. We can have one of our high-quality patio room enclosures installed on your patio foundation, from start to finish, in just under a week at a cost-competitive price. 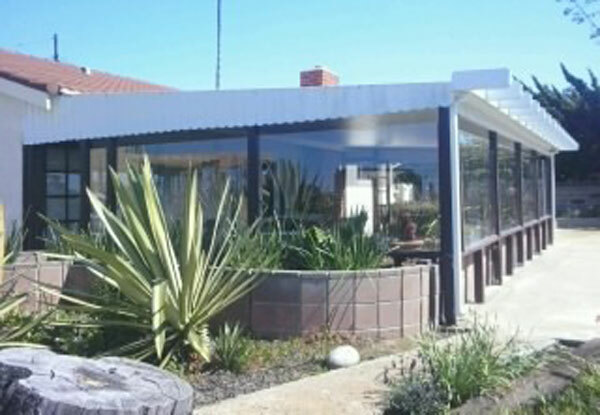 Whether you want a beautiful and relaxing sunroom in San Diego or a second family meeting area in Escondido, Aluminum City provides a low-cost, high-quality alternative to a standard home extension. 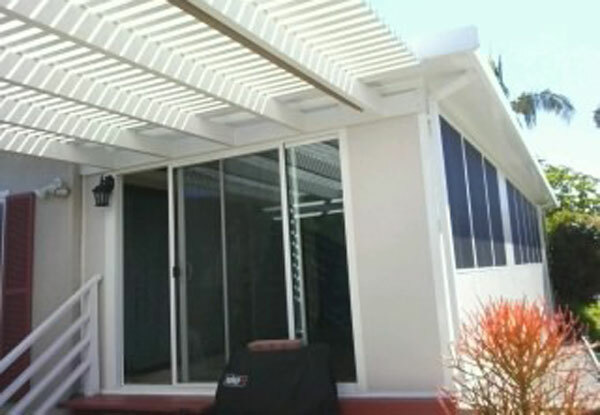 For over 50 years, Aluminum City has installed well-built and affordable patio enclosures and sunrooms in Escondido, Chula Vista, Oceanside, Poway, Rancho Bernardo, & surrounding cities. With our exemplary service and dedication to superior craftsmanship, we've earned an A+ rating from the Better Business Bureau and a reputation as one of San Diego County's leaders in patio room, sunroom and California room design and construction. 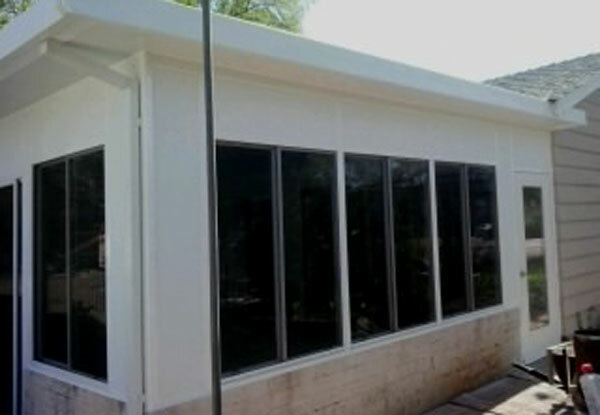 We take great pride in our workmanship and the reputation we have built up over the decades, and promise that our patio enclosures will make an excellent family room, room addition, or second living room. All of our work is done to code. 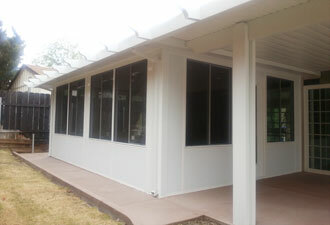 All of our patio enclosures are custom designed, engineered, and expertly built. We build rooms of all sizes from small family enclosures to much larger home extensions, provided there's space available. These rooms are constructed with 4-inch insulated vinyl wall panels. Unlike wood, vinyl panels do not absorb water and are immune to termite infestation and water damage. These insulated vinyl walls are virtually maintenance free and will last for decades. The windows of these rooms are made from dual-glazed low-e insulated glass that provide excellent sound dampening. Window tinting is also an available for homeowners interested in additional sunlight protection and privacy. This room can be given a 3-inch or 4-inch insulated roof system, if there isn't an existing awning or cover. When fitted with our dual-glazed glass doors (regular or sliding), these rooms become the perfect link between your indoor and outdoor areas. All of these elements provide excellent insulation from hot summer days and cold winter nights. To customize your room, we can also install electrical wiring, sockets, ceiling fans, and lights. Aluminum City is fully licensed and insured. If you're considering having a patio enclosure, sunroom or room addition built on your San Diego property, call us today at (619) 562-1652 to schedule a free on-site consultation to see what options are available to you. Our hours of operation are seven days a week, 7:00AM to 10:00PM.